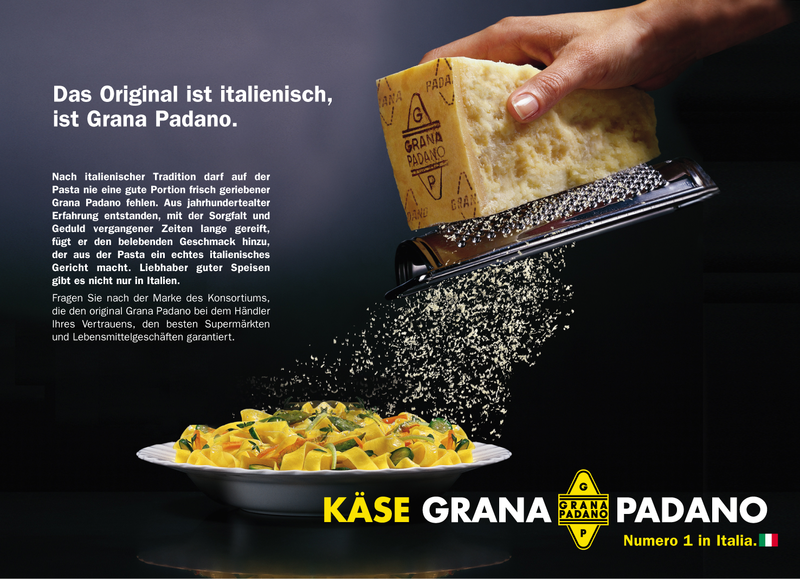 Grana Padano is a leading product in Italy, but brand awareness is not well established internationally. Consumers confuse it with parmesan and do not see it as an Italian product. So the advertising focuses on its popular use ad a grated cheese by communicating its leadership in the payoff.